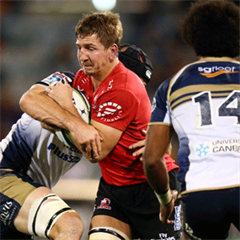 Pretoria - Bulls centre Burger Odendaal enjoyed an impressive Super Rugby debut last weekend. It was a bit of a fairytale for Odendaal, who turns 22 in a fortnight (April 15). Odendaal recently returned to full match fitness after recovering from a broken arm and knee injury, and was subsequently named in the Bulls starting line-up for their Vodacom Cup clash against the Pumas last weekend. 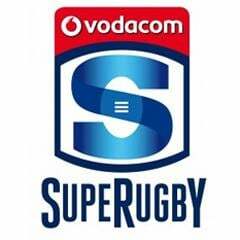 However, Jan Serfontein was a late injury withdrawal from the Bulls Super Rugby starting XV, which saw Odendaal called up to make his tournament debut against seven-time champions the Crusaders at Loftus Versfeld. “I was very excited. Things happened so quickly,” Odendaal told MyPlayers.co.za. “The coaches told me during the week that Jan is nursing a bit of an injury, and I would have to prepare to make my Super Rugby debut if he doesn’t pass a late fitness test. With this late call-up, Odendaal impressed for the Bulls, scoring a try during the 31-19 win over the Crusaders. The Krugersdorp local, who attended Hoërskool Monument, said it was a match he’d never forget. “It was a great honour to get my Super Rugby opportunity for the Bulls over the weekend. It was great to face the likes of Dan Carter, Israel Dagg and Richie McCaw, who are a few of the many All Black stars in the Crusaders team,” explained Odendaal. “Our plans worked out on the day. We started the game on a positive note, and did well to seal the win during the second half. These past few weeks have been important for the team as we’ve picked up some important results. After showing great form during last year’s Currie Cup, followed up with an impressive Super Rugby debut, Odendaal remains grounded as he’s focused on maintaining good form. “My body’s a bit sore after my first game back from injury, but it felt great to be on the field again!” said Odendaal. “My goals for the season is just to contribute to the team whenever and where ever possible.